There’s no denying that digital document management is the way forward. The document management market is a continually progressing one that offers solutions for storing and accessing your files and documents quickly and easily. Companies that adopt digital document management, or DDM, find that it helps their efficiency significantly as well as numerous other benefits, but what is the best way to host your documents for use with the system? Your two main choices will usually be to host your documents over a local network or to host them over the internet via a Cloud service. So let’s take a look at the advantages and disadvantages of each method so you can make an informed decision about which way of hosting is best for your document management system. For those who aren’t sure what I mean by local network, a local network for your document management would basically be one area, whether that’s a PC or your own server, from which you can then share your documents between all other computers on that network. The system is relatively easy to set up. Your documents are stored on one particular computer / server meaning there are no fees for renting space online. For the most part, hosting files over your office shared network will offer faster speeds when it comes to searching for and retrieving the documents. 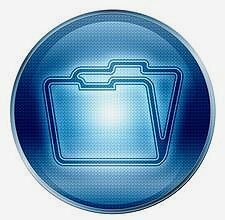 If you store your documents on one particular system and this system goes down or even breaks then access to your files will be lost. If not properly backed up, the files can be lost forever in the event that the system itself breaks. The irony here is that it is probably a good idea to have online backup, or additional backup via external hard drives, to make sure that this doesn’t happen and that you won’t be out of action for too long if the worst should happen. Which brings me nicely onto the next section. 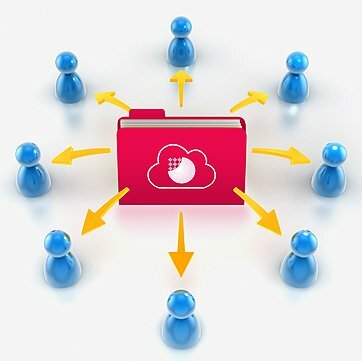 Storing files on the cloud is the most recent and fashionable way of hosting files but it comes with a range of advantages and disadvantages. This is useful if you have a larger quantity of documents as you won’t have filled up one entire computer or more just for storing your documents. You can access your files literally anywhere that has internet access. Depending on your connection speed, it can take longer to retrieve documents via an online service than it would via a local network. There are also fees that tend to come with storing files online. Since recent news of cloud hackings, people have been more and more wary of storing information in the cloud for fear of suffering the same fate. But, if you do your research and take necessary steps to protect your files, they should be safe as houses. Here at Pearl Scan, we offer a fully bespoke scanning service as well as the use of our online cloud platform Pearl Cloud for FREE with most scanning projects. If you would like some more information on the huge range of document we can scan and the document management solutions we have to offer, see our main page or get in touch today. For a free, no obligation quote, complete our online form by following the relevant links below.